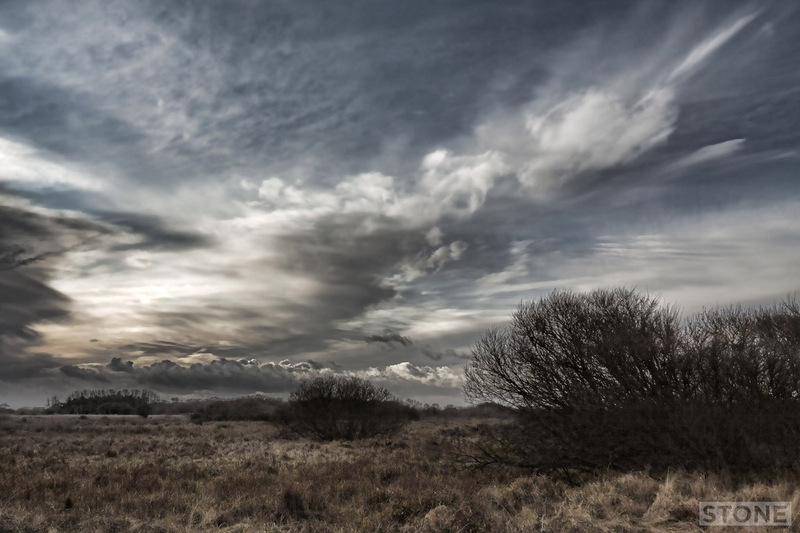 Horsey is a curious area, it’s always felt like slightly dead ground to me, for the uninitiated it is just to the North of Winterton and South of Waxham, it has it’s own Broad a large flat expanse of water edged by windpumps, dunes and intermittent seals. One of my brothers lived here in the 1970s in a row of tiny cottages just up a winding track from Horsey Mere, no toilets, intermittent electricity, It was deathly cold in winter, something quite haunted and out of time. There are folk tales of spooks in the waters; once allegedly the grave of Anglo Saxon children*, their weighted bodies were sunk in the waters. You can apparently hear the children laughing and playing near the waterside in June. This tale froze me to the marrow as a child, as an adult I’ve sat on the mere in a Pike boat in January in a dawn hailstorm, ghosts stories may chill the young blood, but the North wind tearing across the waters at Horsey bearing ice bullets can freeze your bones and relieve you of your soul. 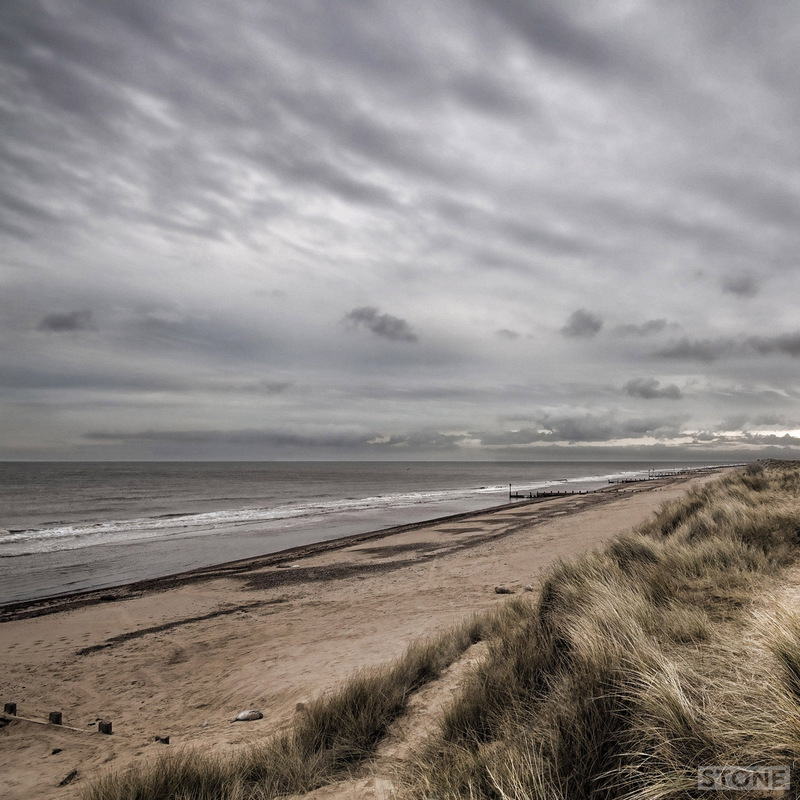 The East coast is dotted with relics of World War 2, alongside shingle and sand and seals and marram grass, you can find allsorts of reminders of the network of defences. Some are pretty obvious, others not so much. 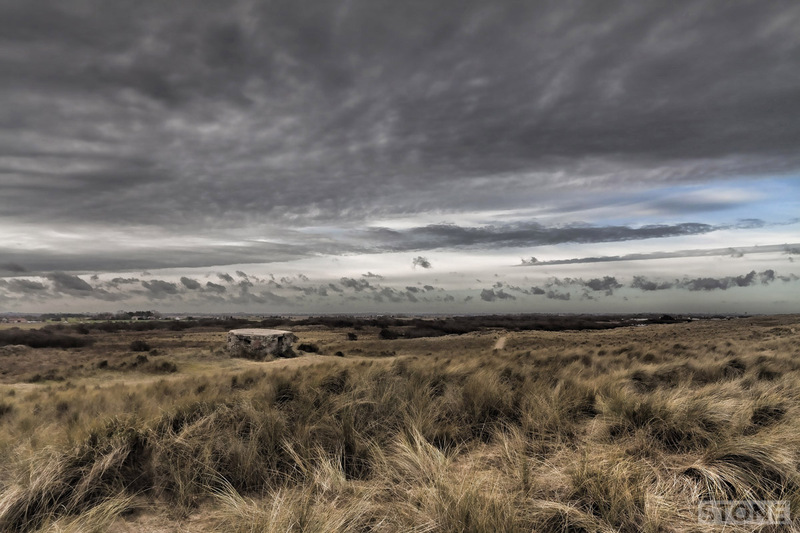 This one is one of the obvious ones plonked in the dunes at Horsey in Norfolk. 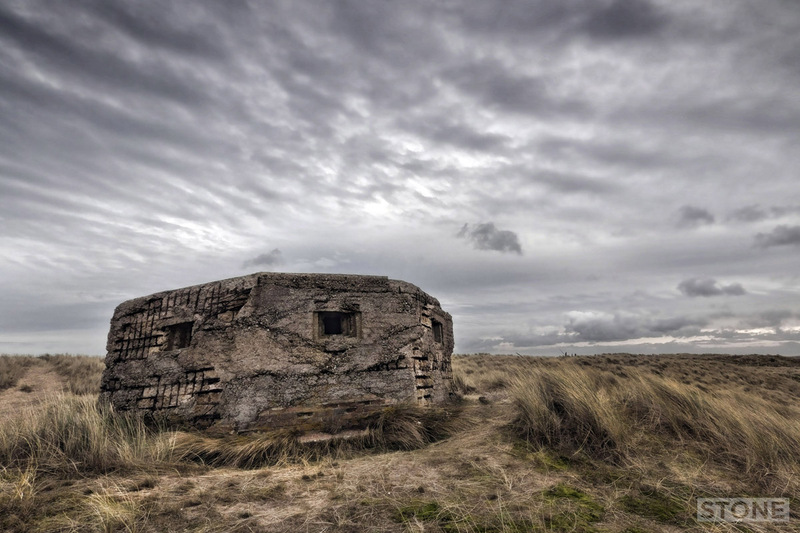 The Pillbox faces partly across the flat marrams behind, I’m assuming the plan was it would provide fire support across the flanks of any attacking troops as they poured along the paths behind the dunes. Had they snuck up over the dunes at the back, the occupants would probably have had their back door smashed in in no time, even given the gun ports either side at the rear armoured backplate or otherwise. Gott in Himmel. This little doozy is in pretty bad condition, most of it’s brick overcoat has gone and the stresses Time is taking its toll on it now, the freeze/thaw cracking away the jacket. The concrete chipping away revealing metal reinforcement rods. It is also slowly canting over at an angle, presumably due to sand slipping underneath it. There is the additional problem of vandalism and it being used as a urinal. It still has machine gun mountings in it in all of the embrasures, which is nice if you like that kind of thing. Type FW3/24 I believe or so the internet pillbox nerd herd tells me. *Seems somewhat unlikely, given it’s probably at least part formed by human extraction of both peat and clay in the medieval period and later. Ho hum.